I’ve recently been pinning to a Pinboard called “my dream wedding”. Although no one can guarantee snow, how amazing would it be to have a winter white wedding in the forest? I couldn’t help but share some amazing winter wedding photos with you. My favorite pins from the past week. Have a great weekend! It’s such a dreary day here in New York, I figured I’d brighten it up with a pop of color. I recently discovered my love for the color purple. Not lavender but a deep, more regal purple. 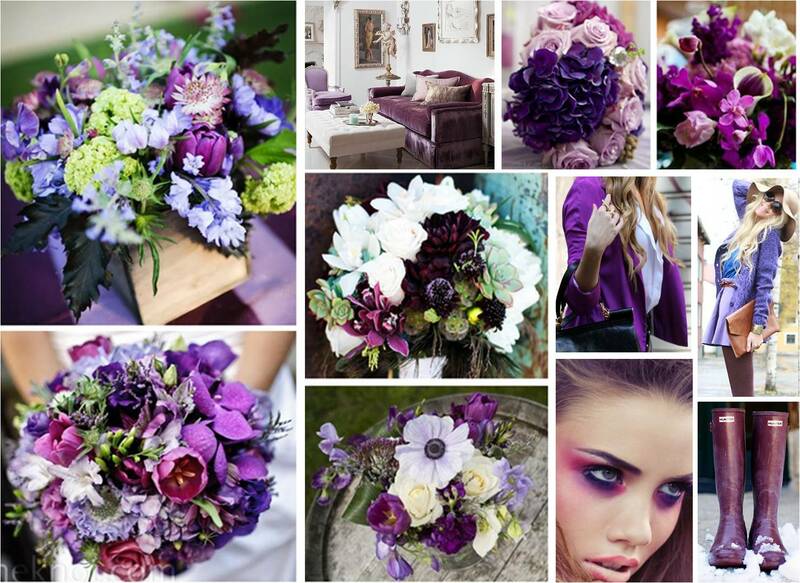 There have been a lot of wedding blogs featuring weddings with purple flowers lately and I couldn’t be happier. Plus, deep purple is such an amazing color for fall fashion! After tons of searching for my favorite purple pics for this board, I’ve decided I NEED to trade my boring black Hunter wellies in for a purple pair!